There are approximately 24 totem poles that are privately owned by House Groups. Some date as far back as 1880 and as recent as 1995. 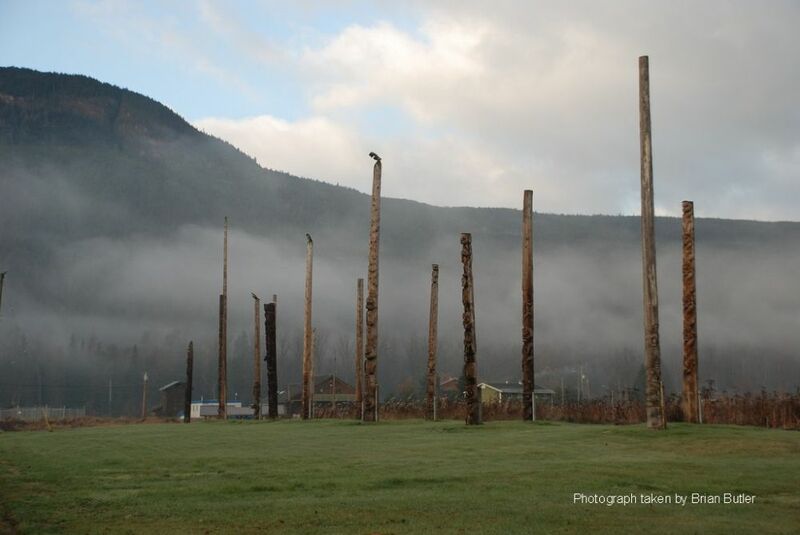 The much-admired Kispiox totem poles stand in the grass at the edge of the community where the Kispiox and Skeena Rivers meet. Carved with Eagle, Raven, Frog, Killer Whale, Bear, Wolf and Human figures, they commemorate the House/Family history, signify ownership and offer insight into the heritage of the Gitksan people. The characteristic figures on totem poles are symbols comparable to family crests. They illustrate historical events that occured in a House's past. If the historical event involved several Houses, those Houses may share the crest. The pole's owners display their crests on the pole to establish and make public their claims to vested rights and privileges. They varied with each family; they were exclusive property and were guarded. Each carved illustration on the poles serve a multiple purpose: besides commemorating the House/Family history and signifying ownership, they familiarize youth with their history - keeping part of our heritage alive. 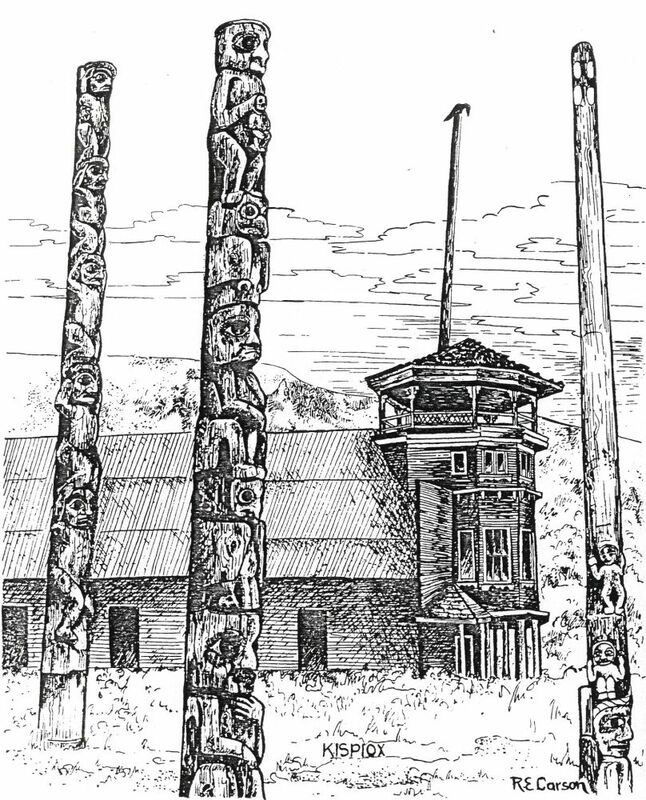 The photograph to the right is a drawing of the the totem poles and the old Kispox Communtiy Hall which was destroyed by fire in the early 1970's. The drawing was done by Rose Carson.